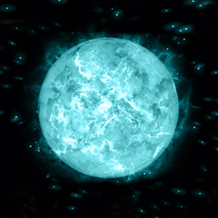 Our Beginners at Home Love Energy Techniques Recordings consist of 9 high energy recordings packed with ancient and modern wisdom about Unconditional Love Energies, including how one can use Conscious Awareness to focus a flow of Unconditional Love Energies and self heal oneself from lower emotional energies like anger, fear and/or regret stored in original and duplicate memories of one’s unpleasant experiences in life. Each Beginners at Home Love Energy Techniques Recording is designed to activate Unconditional Love Energies in a different part of a Human Body. Below is a short description of each of our recordings. This amazingly unique recording teaches you to activate a Merkaba and to bilocate to the safety of our 23 acre/9 hectare Love Energy Sanctuary so you may self help and self heal yourself in the comfort of your home. Our recording enables and empowers you to cut karmic ties, sever energetic attachments and remove phobias using 3 Unconditional Love Energized Healing Crystals. Love is an energy and just like the energies of electronic information, the energies of Unconditional Love can be stored in crystals. However, just as it took trained engineers many years with technological equipment to learn how to store massive amounts of information in crystals, it takes a Love Energy Adept many years to learn precisely how to store massive amounts of Unconditional Love Energies in Healing Crystals. Click Here to read more and/or purchase the Guided Bilocation Meditation recording. 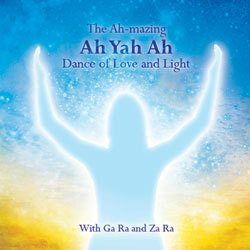 Our Ah-mazing Ah Yah Ah Dance of Love and Light recording enables one to attain a heightened state of Conscious Awareness and self heal oneself of life’s discomforts using the energies of Unceasing Light and to expand one’s Consciousness using the energies of Unconditional Love. 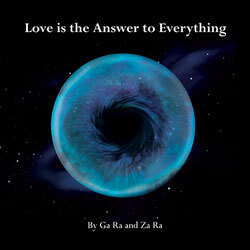 The recording contains an easy to learn visualization movement meditation in a step by step presentation by Ga Ra and Za Ra that cleanses one’s body from lower dimensional emotional energies like anger and regret while enhancing one’s body with higher dimensional emotional energies like Joy. Recording also describes how one can remove the painful emotionally charged energies surrounding the memories associated with Post Traumatic Stress Disorder and depression, so one is able to regain their happiness in life. 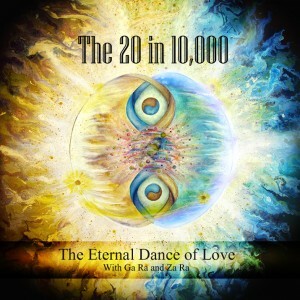 Click Here to read more and/or purchase the Love and Light Dance recording. 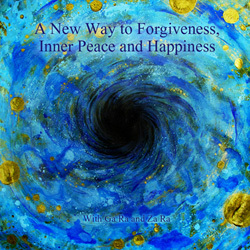 Ancient Knowledge and Common Sense Wisdom are woven together in a unique way that proves Forgiveness is the Way to Inner Peace, Happiness and Enlightenment. This recording’s energetic cleansing and Consciousness expanding techniques give one the personal experiences that enable and empower one to attain Inner Peace, Happiness and the state of Conscious Awareness called Enlightenment. Enjoy a series of ancient guided Love Energy Meditations that enable you to “breath in” life force enhancing Love oriented “negative ions” and “breathe out” illness producing “positive ions“. Learn the ancient and modern reasons precisely why forgiving oneself, and others, in the proper way, leads to better health, Inner Peace and Enlightenment. Hear the hidden truth why anger towards one’s parents is the leading cause of cancer in adults. Listen to the facts about how the strengths and weaknesses in one’s DNA are directly connected to karma. Learn how to remove weaknesses from your DNA. Discover the ancient wisdom that you knew everything about your parents and childhood before you incarnated into your present body, as a baby. Click Here to read more and/or purchase the Forgiveness recording. There are the Conditional Love Energies of 3rd dimensional temporary physical bodies and the Unconditional Love Energies of 4th dimensional permanent Emotional Bodies. Listen to the ancient and modern wisdom about how any human, (or animal’s), temporary 3D brain is capable of generating the energies of Conditional Love, but that only a permanent human 4D Mind, or Soul, is able to generate the energies of Unconditional Love. Learn in this recording how Unconditional Love is the Answer to healing all diseases, performing miracles, walking on water and consciously visiting the higher dimensional levels of our universe. Click Here to read more and/or purchase a Love is the Answer recording. This recording gives one ancient and modern wisdom about the state of Conscious Awareness that people call “Enlightenment“. Hear why the state of Enlightenment is easy to attain, but difficult to retain. Recording enables one to experience the state of Enlightenment. Listen to how 5,000 years ago the famous Thoth Hermes Trismegistus had “The Theory of Everything” carved into stone in short phrases to help people who have “eyes that see and ears that hear”. Hear how the “Emerald Tablet” of Thoth explains everything, including how the energies of Unconditional Love and Unceasing Light create the “Stardust” of planets and can be used by one’s Conscious Awareness to attain Enlightenment. Learn how life began on planet earth and how we, as humans, have a built in desire to transcend time and space, in order to consciously Ascend back to the higher dimensional levels of existence. 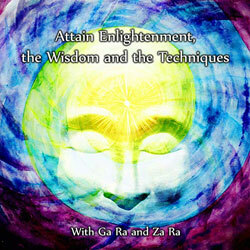 Click Here to read more and/or purchase the Enlightenment recording. This amazing recording includes the ancient wisdom and modern techniques that enable and empower one to create negative ionized Sacred Healing Waters. Negative ions have been scientifically proven to result in good physical, mental and emotional health. Listen to ancient and modern wisdom about what negative ions actually are and why technological machines are unable to create negative ions. Learn how negative ions can be created in water by using the ancient songs contained in this recording. Learn how to create your own negative ionized Sacred Healing Waters in the comfort of your home using this recording. 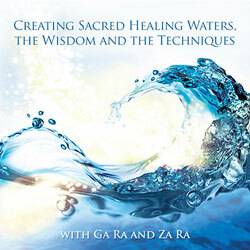 Click Here to order the Sacred Healing Waters recording. Serenades of Love was recorded within the Ne-Ah-Ga-Ra – Ha-Ne-Ah-Yah Energy Grid. The sound of the water was recorded right after a special Teraphim Activation Ceremony at Ne-Ah-Ga-Ra, (the North American Aboriginal word for Niagara Falls). The songs were recorded at Ha-Ne-Ah-Yah after completing a series of ancient Love Energy ceremonies. Ga Ra’s and Za Ra’s vocal cords emit a similar high frequency of Unconditional Love Energies to those used long ago to levitate blocks of stone into place in building pyramids and in the healings of people’s physical bodies and Emotional Bodies. This recording provides one with the perfect lullaby with which to fall asleep as these songs of Unconditional Love enhance one’s dreamtime as well as one’s meditations. 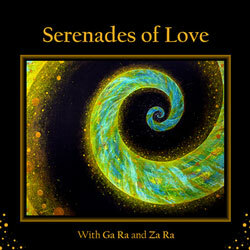 Click Here to read more and/or purchase the Serenades of Love recording. This recording gives one ancient wisdom and modern information about the concepts of karma and reincarnation. The recording also teaches one an ancient Love Energy Technique for resolving the emotional pain associated with the repayment of past karmic debts and this lifetime’s spiritual tests. Learn how to perform an ancient Love Energy Karma Fire Ceremony. Receive an experience with our lineage’s ancient Love Energy Rebirth Technique. In addition, recording includes a modern technique that enables one to remain rebirthed in today’s hectic world and how to maintain the state of Mind that people call Enlightenment. 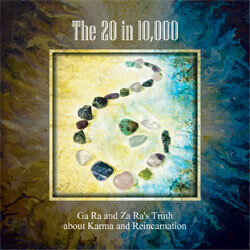 Click Here to read more and/or purchase the Karma recording. 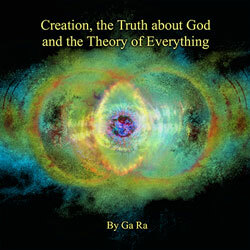 This one recording contains “The Theory of Everything” for scientific oriented people, “the Truth about God” for religious oriented people, and the story of “Creation” for open minded people. Listen to how “The Theory of Everything” was taught 2,700 years ago in ancient Egypt’s “Eye of Horus Mystery Schools” to many famous Greeks like Plato and Pythagoras. This recording explains precisely who God is in energetic Oneness, as well as the separation of Oneness into Mother Father God’s Unconditional Love Energies and Father Mother God’s Unceasing Light Energies. Hear the common sense ancient wisdom that explains exactly how a universe is created, from the first black hole of a galaxy down to the first life forms upon a planet. Learn the secret esoteric wisdom about how moons are created and why when a planet’s first moon comes into existence, energetic free will decision making begins. Listen to precisely how a planet’s first consciously aware 3D life forms come into existence. Hear the wisdom on why and how humans were given permanent 4D Emotional Bodies and Minds, or Souls, that differentiates them from all other animals and plant forms upon planet earth. Click Here to read more and/or purchase the Creation recording. 7 of our 9 Basic Love Energy Techniques downloadable recordings are $9 each or $15 for a snail mailed CD. Our double sized wisdom and technique packed “Forgiveness” recording is $18 for download or $30 for its two CDs. 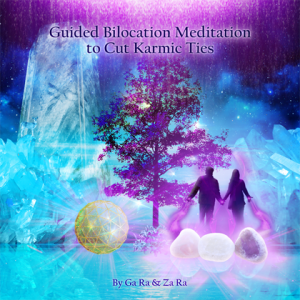 Our double sized Guided Bilocation Meditation to cut Karmic Ties recording is $39 for download or $49 for its two CDs. We donate $5 from each recording sold to help feed, educate and create a Love Energized environment for 1,100 destitute and vulnerable children who live in a violent crime ridden “informal settlement” or shanty town in Johannesburg, South Africa. 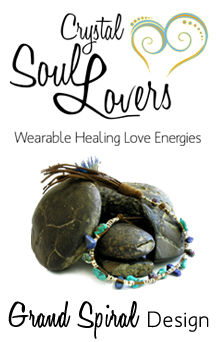 Our unique Soul Lover Teraphim, after several ancient ceremonies, enables and empowers one to wear the wondrous healing energies of Unconditional Love in the form of a bracelet on one’s arm or mantra beads. 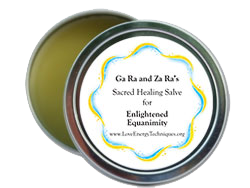 Each Sacred Healing Salve for Enlightened Equanimity enables one to attain emotional equanimity and temporarily enter the state of Conscious Awareness that people call Enlightenment. The Emerald Tablet was created by the famous Thoth Hermes Trismegistus thousands of years ago. 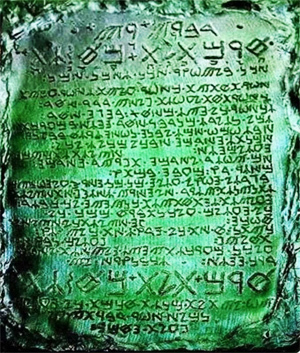 Many copies were made during the last 1,400 years of the original text that appears on the surface of the Teraphim known as the Emerald Tablet. Love is a sacred energy that when shared between two people enables both of them to dance together as one within the energies of both 3rd dimensional Happiness and 4th dimensional Joy. Add Love energies to your brain’s 3rd dimensional energies of happiness so you may enjoy your Mind’s 4th dimensional energies of Joy. Sign up here so we can send you a Free Love Energy Technique that enables you to fill yourself with Love Energies. 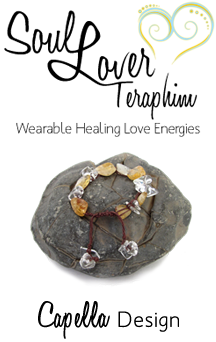 Our unique Crystal Soul Lover, after several ancient ceremonies, enables and empowers one to wear the wondrous healing energies of Unconditional Love in the form of a bracelet on one’s arm or mantra beads.